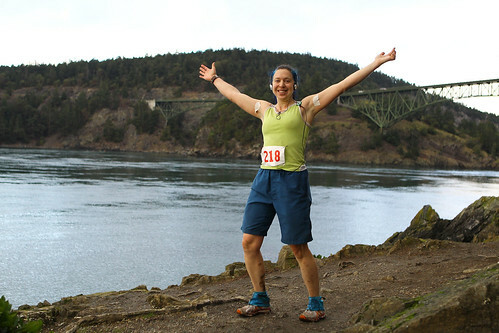 On Sunday, I ran the Deception Pass 50K Trail Ultramarathon, held by Rainshadow Running. It was some of the most amazing trail running I have ever experienced. The course is designed with several lollipop loops, so as a middle of the pack runner, I frequently was cheered on by the lead pack as they passed me. The party at the end of the race was great; food and beer was amply supplied. The Pacific Northwest is known for it’s lush and verdant environment and this race did not disappoint. I ran through groves of ferns which were taller than me and under thick canopies of trees so dark that I wished I had a headlamp! The trails were soft underfoot and, in all but one section of the race, fairly free of mud swamps. There were 185 racers and I came in 105th place. Out of the females, I came in 31 out of 87. I was happy with the race result, even though it took me about 45 minutes longer than expected. 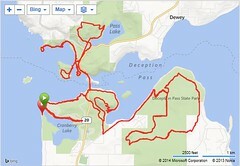 Dennis and I flew to Seattle so I could run the Deception Pass 50K Trail Running Race on Whidbey Island. I was so psyched to be running single track in such a beautiful location! 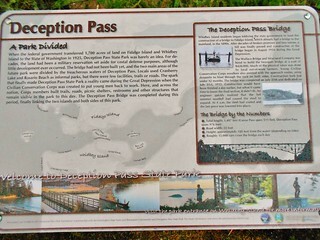 Deception Pass State Park is a MUST do on anybody’s trip to the north west, and I was soon to be conquering it’s trails! 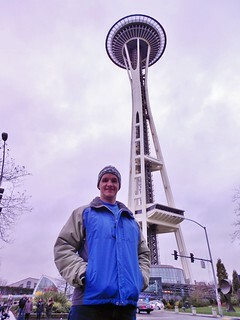 Prior to the race, we spend a day in Seattle to have breakfast with Jon and Melissa, visit and schmooze with my work colleagues and management, and see the Space Needle. 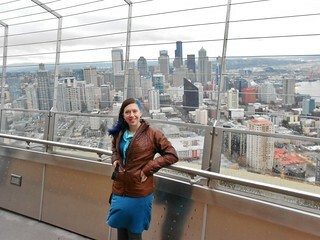 It was a cloudy day, but that didn’t stop us from enjoying the view! I decided to run another trail Ultramarathon, since I had so much fun at Way Too Cool earlier this year. I picked the Deception Pass 50K, on Whidbey Island in Washington State. 1. It is almost entirely on single track, with only a small amount of pavement involved. 2. It is small, with less than 200 runners total. 3. It is at sea level. 4. It is right before the holidays, so I will be able to enjoy ski season without having to train throughout the winter. 5. It is affordable, being only $65 bucks. 6. It is not an out and back, so I will not be bored. 7. I get to run across a bridge! 8. It is unlikely to be over 70dF or under 20dF. 9. I get to visit with family before the race. 10. It is an incredibly beautiful setting! 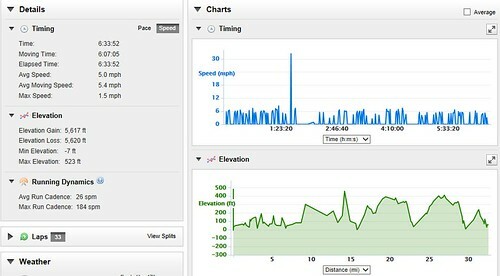 Here are the numbers of minutes I ran every week, while in “training mode”. Prior to the 3 months of training, I spent all summer climbing mountains…24 to be exact. So, my legs were in very good condition prior to the training period. A big shout out to my coach, Lea, for devising the custom weekly training runs and keeping me focused. Also, to my friends Tilden, Dan, Kristina, and Erin for running with me during training. Most important, thanks to Dennis for providing me with aid, both nutritional and emotional, during training and the race. My success is a reflection of your care and support! You are currently browsing the climbergirl blog blog archives for December, 2013.